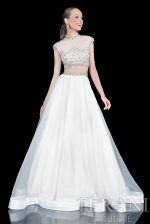 Prom Dresses 2019 – Fashion Savvy Prom Gowns. 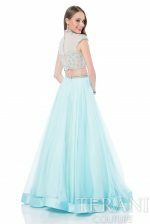 Terani Couture’s Spring 2019 Prom Collection is our latest and most fashionably bold collection to date. 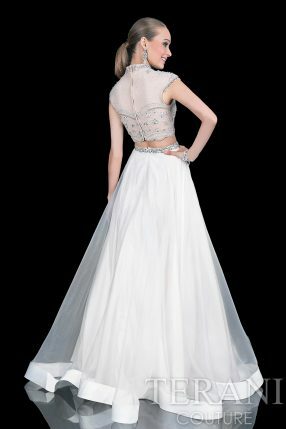 Terani Couture is known for our quality fabrics and eye for intricate beading, embellishments, and embroidery detail. These key features keep our buyers excited with the release of every new collection. Starting In the heart of New York City in 1990 we’ve evolved with every season. Terani not only keeps our dresses on trend, but we take pride in setting the trend in true New York fashion. Terani dresses are designed with our wearers in mind. 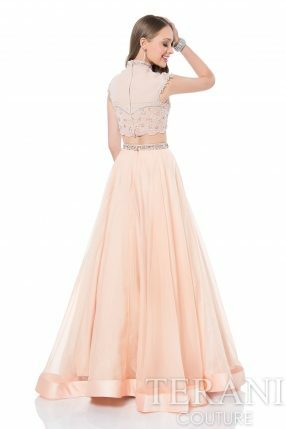 We aim to showcase unique special occasion dresses that reveal the inner confidence and the fashionista in everyone. Terani Couture has graced countless fashion editorials internationally. Our collections have been worn by your favorite celebrities such as supermodel/ mogul Kendall Jenner, popular actress and musician Zendaya, recording artist Noah Cyrus, Emmy award winning actress Lynn Whitfield, along with reality TV royalty Margaret Josephs, and Yandy Smith. The Spring 2019 Collection is compiled of jaw dropping luxurious prints, three dimensional accents, fabulous feathering, and star quality sequin dresses. 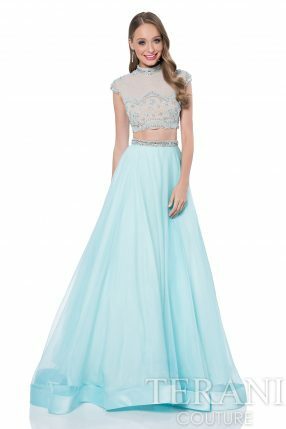 Prom will showcase embellished sweetheart necklines, one shoulder gowns, and intriguing high neck collared dresses. 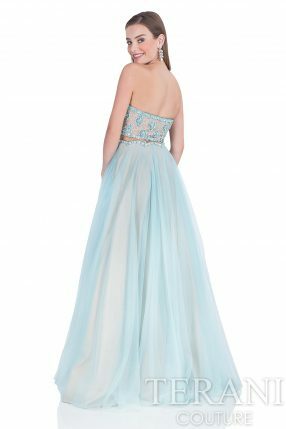 From trumpet and mermaid dresses to apron styled gowns or long flowing airy skirts there is a unique style for every taste. Our Prom 2019 Collection features picturesque long prom dresses and 3D floral printed short prom dresses. We’ve included a mix of classic and extravagant silhouettes in eye popping colors like Chartreuse, Emerald, Fuchsia, and popular ombre blends. 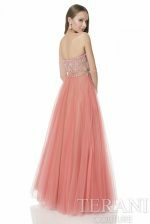 2019 collection will bring prom ball gowns with fairytale like layers of tulle, elegant Silks, Chiffons, and luminous bodice embellishments. These prom dresses are so glamorous they can be worn as evening dresses or as any special occasion dress. 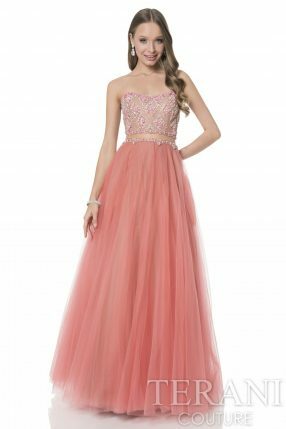 You can expect Terani to provide a fresh, fashionable, and unique assortment of dresses for Prom 2019 Collection.